Happy Easter lovelies! 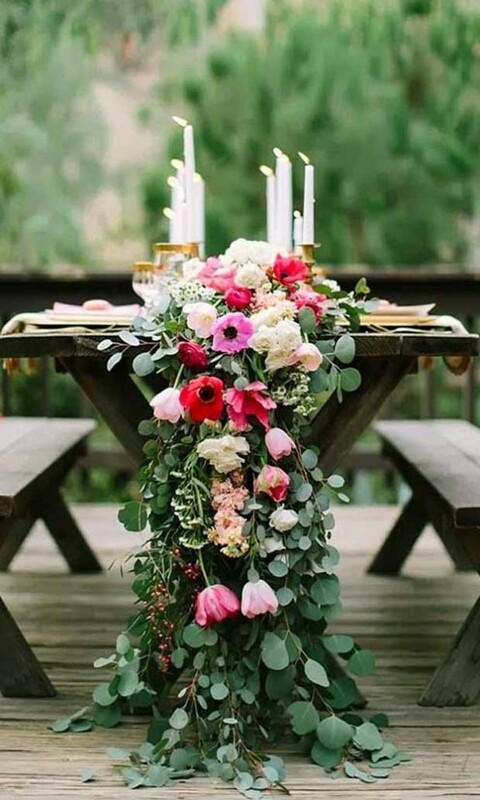 I hope you’re having a blissful time with your loved ones enjoying the Easter break?! 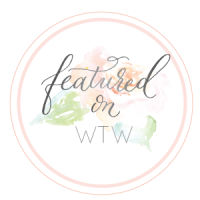 I’m very excited today to introduce a new WTW Sponsor. 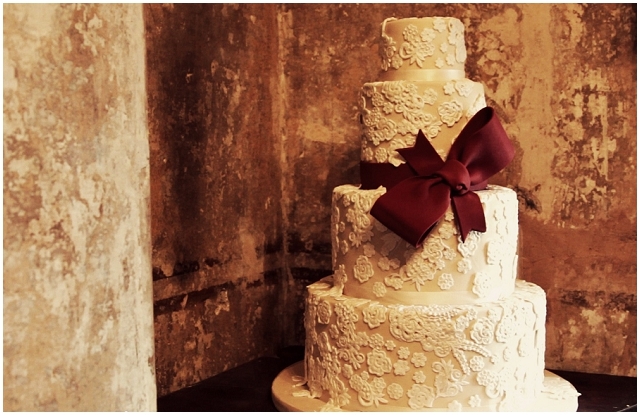 Elizabeth’s Cake Emporium has the most divine wedding cakes you could ever imagine! The Majestic 2013 Collection certainly lives up to it’s name and I promise there will be a cake you fall in love with… whether you are looking for an über stylish, a creative alternative, an utterly romantic, a ‘bang on trend’ vintage or a bold statement cake, Elizabeth’s Cake Emporium will not disappoint! 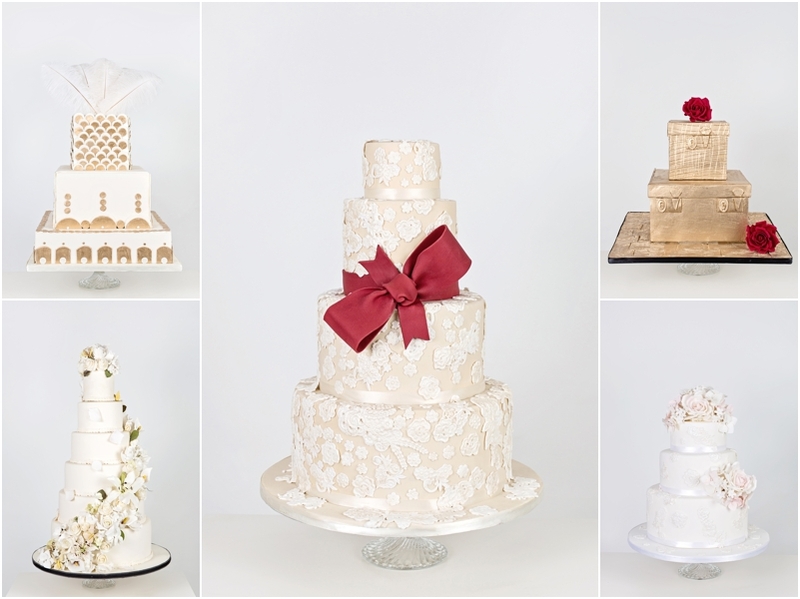 The belief that every bride deserves a princess moment, is the inspiration behind top London cake designer Elizabeth’s Cake Emporium launch of their Majestic 2013 collection of wedding cakes. 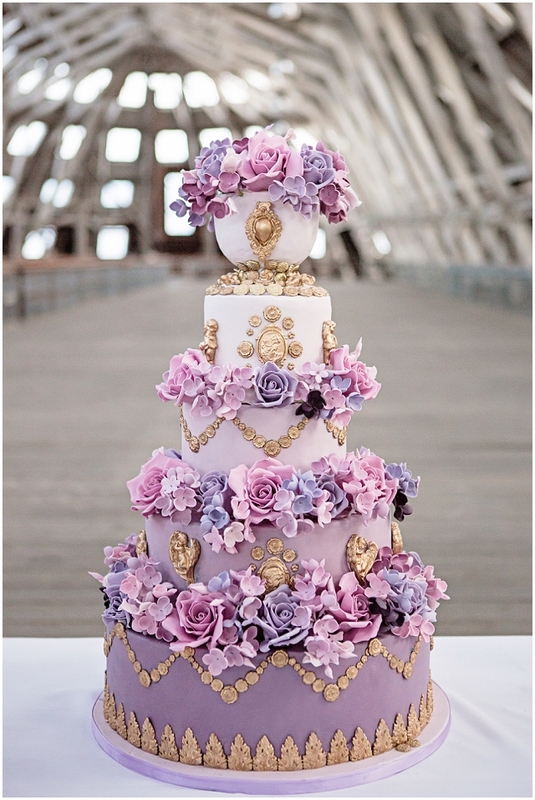 Marie Antoinette: a decadent purple ombre cake with edible gold cherubs, cameos and handcrafted sugar flowers, this cake is perfect for the princess bride who wants a statement cake. 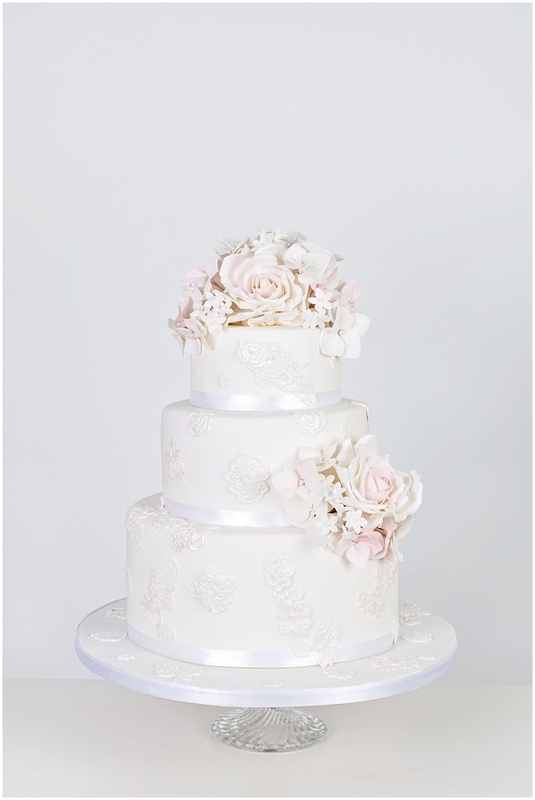 Vintage Princess: decorated with edible sugar lace applique, pearls and delicately coloured sugar flowers. 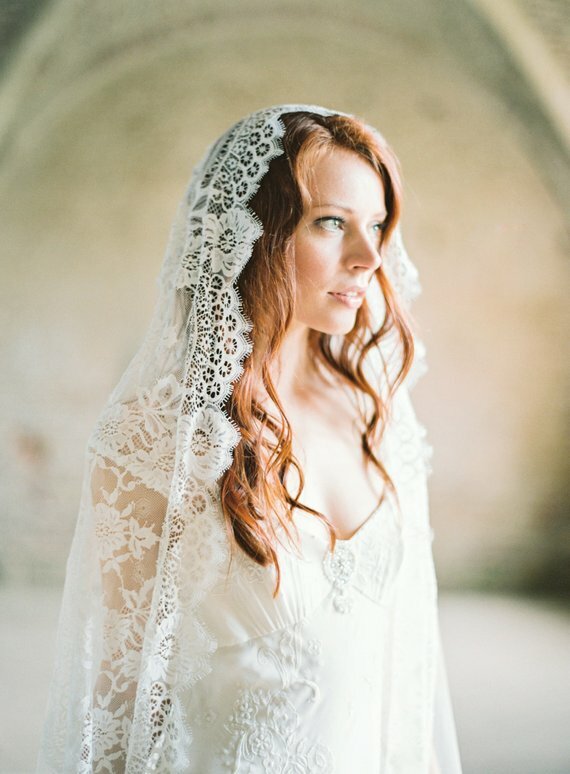 It’s ideal for the bride who loves everything vintage. 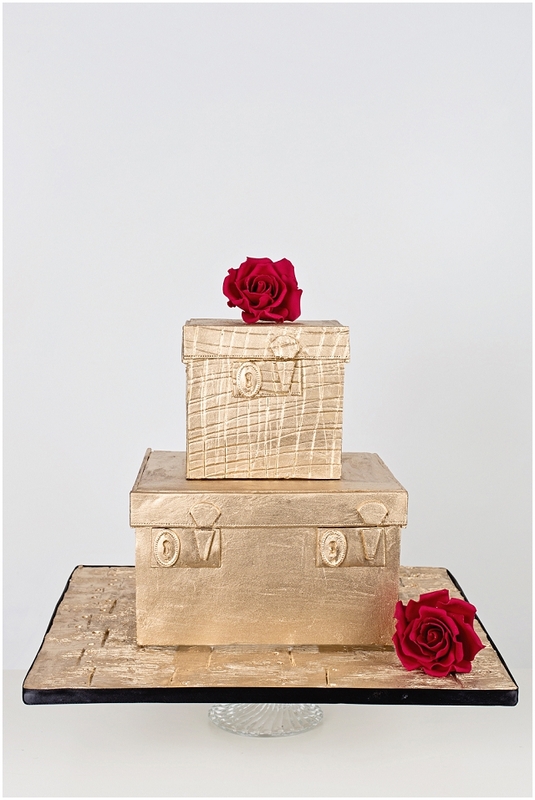 Travel Queen: inspired by the Lulu Guiness vanity cases, this two tier molten yellow gold cake with it’s crocodile skin detailing on the top tier is a bold choice for the bride who loves travel. 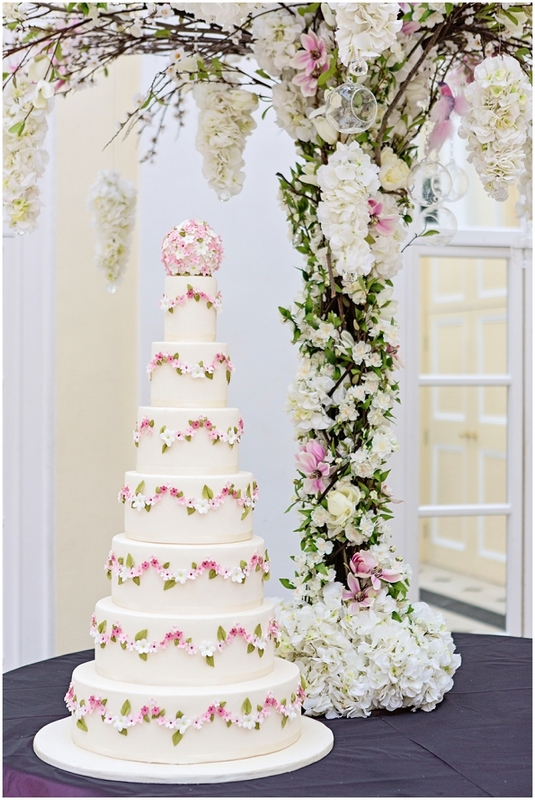 Queen of Romance: a very tall and grand cake adorned with swags of white and pink sugar flowers with a pomander topper. A cake fit for any palace. 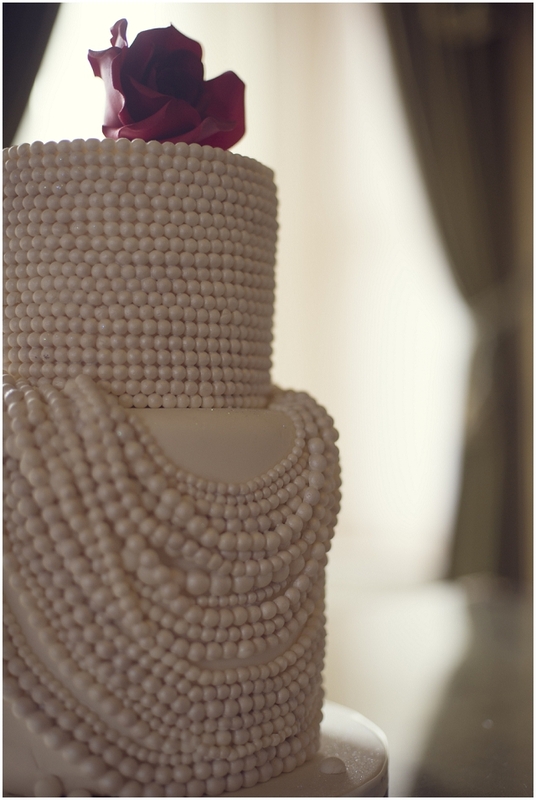 Pearly Queen: taking inspiration from Coco Chanel’s love of multi stranded pearls, this cake is for the bride who strives to be what Coco thought every girl should be classy and fabulous! Art Deco Queen: with a strong and striking graphical style that utilises gold geometrical shapes, it is topped with soft white ostrich feathers and is perfect for an art deco aficionado. 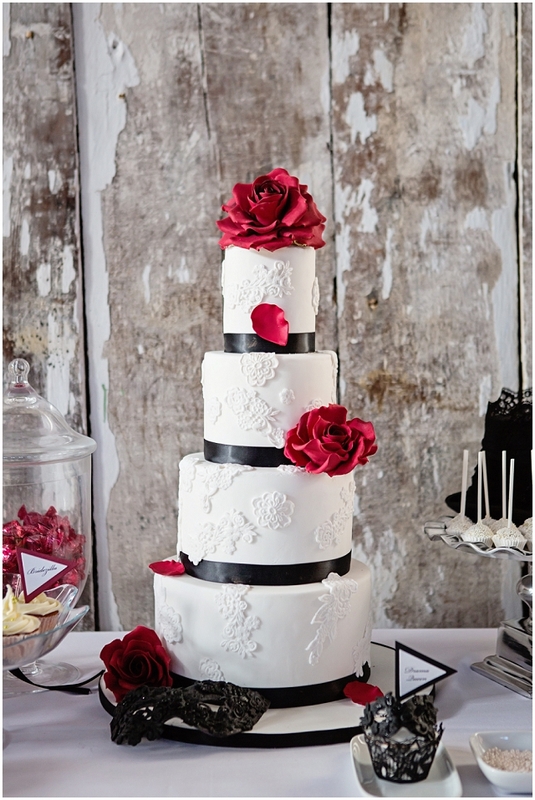 Contemporary Princess: this cake combines the classic black, white and red colours and will bring elegance to a chic and contemporary wedding. 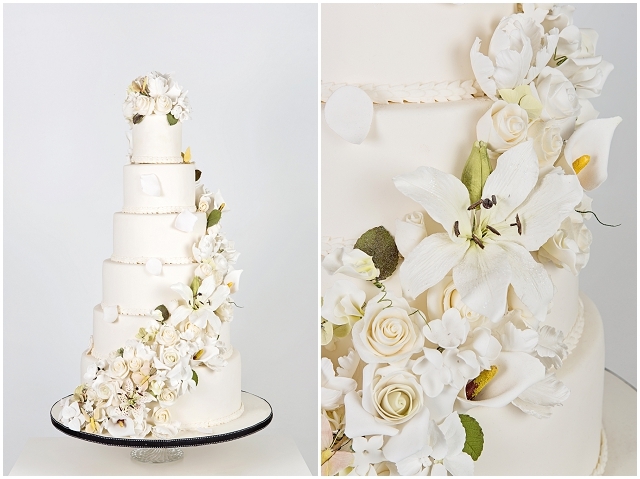 Classic Queen: featuring a spiral cascade of the most realistic classic wedding sugar flowers, including roses, lilies, hydrangeas, parrot tulips, stephanotis and sugar butterflies, this cake represents classic at its best. 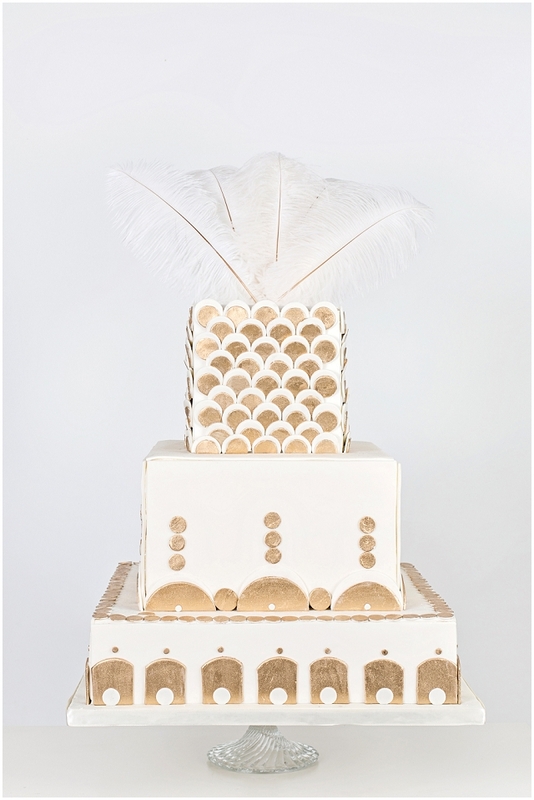 Avant Garde Princess: brides who like something a little different will adore this cake based on one of the stand out dresses from Alfred Angelo’s 2013 collection. The taupe cake decorated with sugar lace motifs and finished off with a jaunty sugar bow is for the unconventional princess. Elizabeth’s Cake Emporium founded by Elizabeth Solaru was established in 2006 and has a reputation for being one of the most innovative cake companies in the UK. 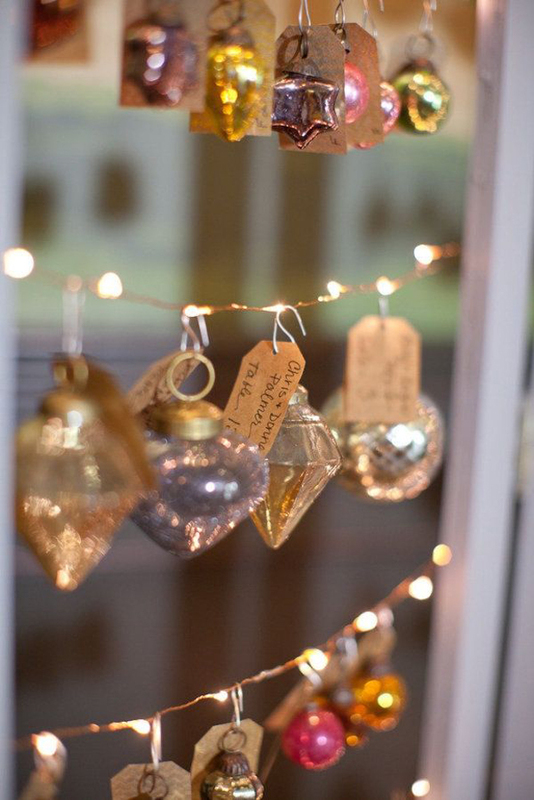 With prestigious list of clients including royalty, celebrities, five star hotels and glamourous west end stores. 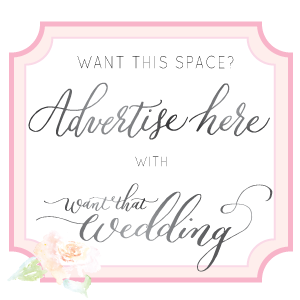 Our cakes and cupcakes are adorned with the most realistic edible jewellery, sugar flowers and gems and have been featured in numerous blogs and national and international publications including Conde Nast Brides, OK!, Hello, Wedding Cakes – A Design Source, Cake Design Cuccina Chic, Magie de Zuckers and Wedding Venues and Services. Elizabeth has appeared on the BBC Good Food Channel and BBC Radio as a cake expert. 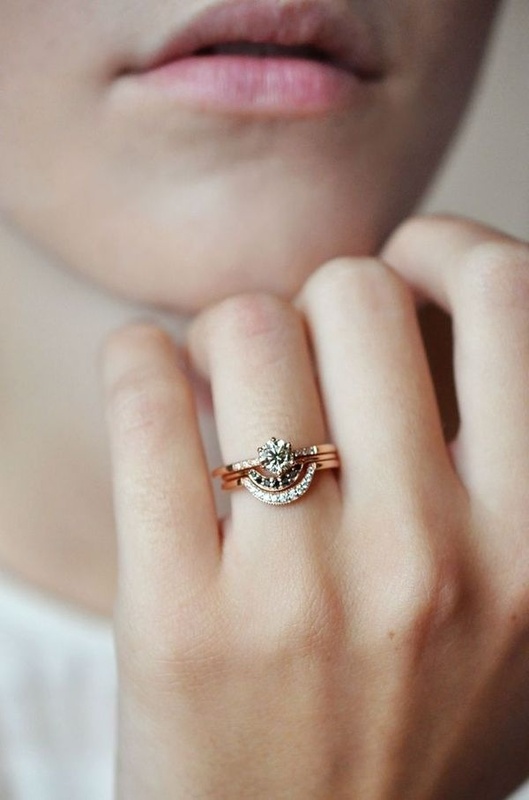 She is also a regular on Sky TV being the only three times winner of The Great Cake Bake, a show which featured the best wedding cake makers in the country. 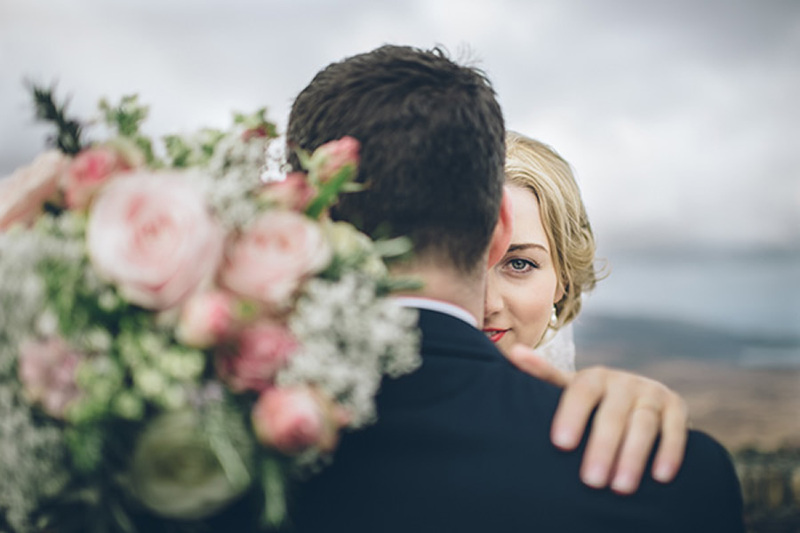 The company is ranked as one of the top five wedding cake makers according to the definitive guide to the best cakeries, Great Cake Places and Elizabeth is also on the international panel of Wedding Industry Experts. She is a star speaker, competition judge and host at The Cake and Bake Show alongside baking luminaries such as Mary Berry, Paul Hollywood and Eric Lanlard. WwwwWOW! 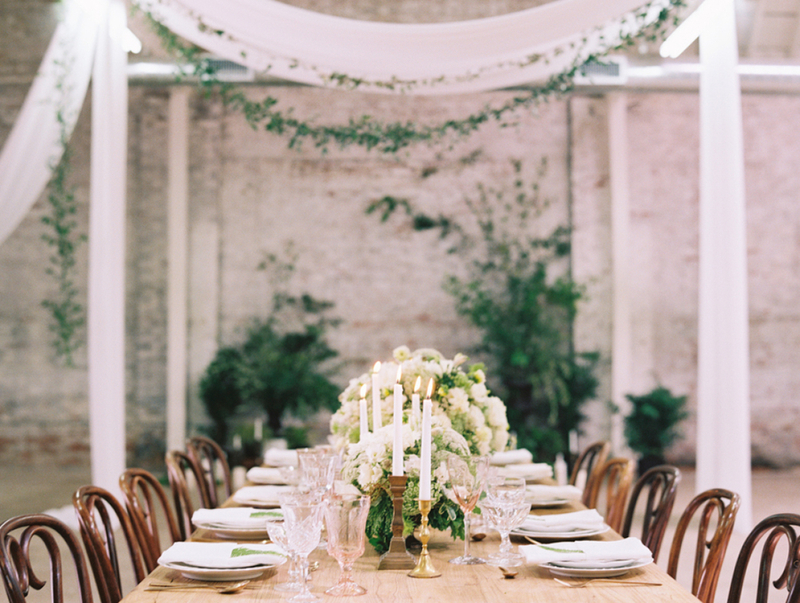 How much attention to detail are there in these delish looking wedding cakes? So much talent and artrisity! If I was going to choose, it would be a really tough choice but, I’m particularly in love with the Coco Chanel inspired cake and the luxurious gold luggage statement cake. Which one have you fallen for? 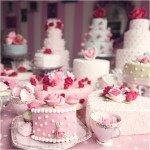 For even more details on Elizabeth’s Cake Emporium pop on over to her site. Wow! These are the most beautiful cakes ever. 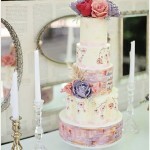 The Marie Antoinette cake is too gorgeous for words. The most original cake collection I have ever seen. 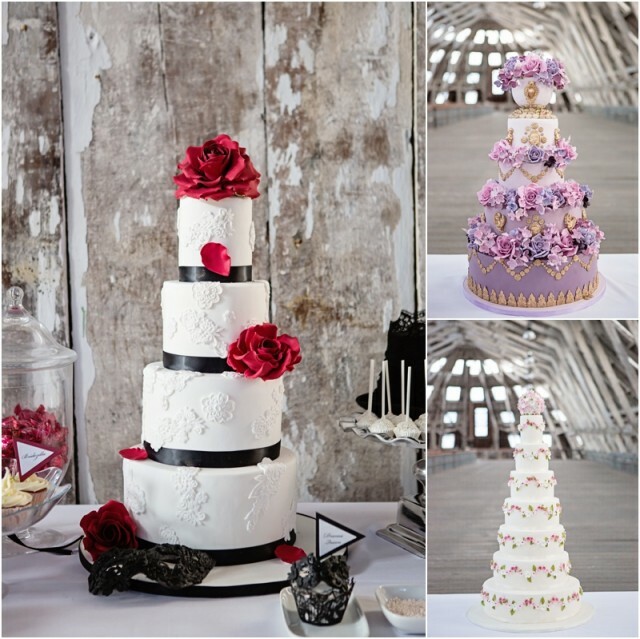 My favourite is the very striking black, red and white cake.